In President Thomas Jefferson's instructions to Lewis, he told him to observe "the animals of the country generally & especially those not known in the U.S. the remains and accounts of any which may [be] deemed rare or extinct." Throughout their journey, Lewis and Clark carefully recorded observations of animals in their journals. Lewis and Clark were responsible for gathering information about the animals they encountered, such as where they lived, what they looked like, their behavior, and to what extent they were valuable. 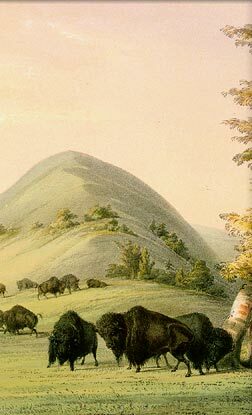 They also encountered diverse American Indian tribes along the way who all had a long history of recording and observing animals that were new to Lewis and Clark. The purpose of this unit is make students think about the ways animals were observed and classified by Lewis and Clark and various American Indian groups. Students will explore the concept of being a naturalist and discuss how our observations of animals, although considered scientific at times, are still influenced by the context of the observer's cultural beliefs. Students will analyze objects, quotes, primary sources such as letters and journal entries, and research projects using the Internet and other sources. Students will view animals through the eyes of Lewis and Clark, as well as American Indians two hundred years ago and American Indians today. Assessments will be completed in the form of class discussions, group work, and presentations. The culminating project will require the students to create a Venn diagram on a poster that represents the many facets that surround the overall understanding of animals from the perspectives of Lewis and Clark and various American Indians. how is the way people value animals related to their culture? why do taxonomists classify living things? Students will utilize a journal to write notes and letters in a manner similar to the one Lewis and Clark used during their observations. Students will collect information to prepare a poster on the various animals that Lewis and Clark encountered. The students will also synthesize all of the information from the unit to prepare a Venn diagram.